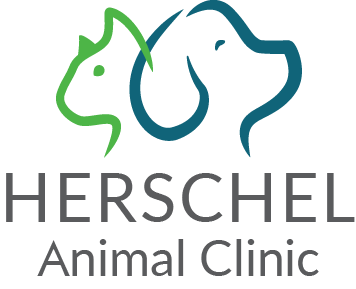 Valleydale Animal Clinic is an AAHA-accredited, full-service vet clinic that has proudly supported pet owners in Birmingham, Hoover, Chelsea, Indian Springs and other areas of Jefferson County and Shelby County since 1976. 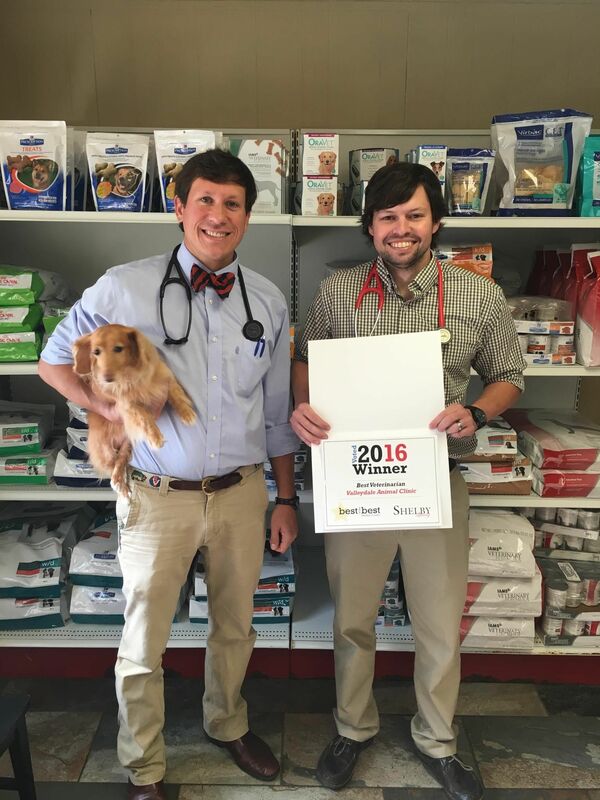 Proudly named “Best Veterinarian in Shelby County”, we are an active member of the Shelby County community. Valleydale Animal Clinic has been named one of the "Best Veterinary Clinics in Birmingham" by ThreeBestRated.com and one of the "Best Veterinarians in Birmingham" by Birmingham magazine Best of Birmingham. Check out our 5-star reviews on Google and see what our loyal clients say about Valleydale Animal Clinic. ​​​​​​​We are proud to be one of only 4 AAHA-accredited hospitals in greater Birmingham. Pet owners gain peace of mind when they choose an accredited practice, because they know their AAHA-accredited hospital has passed the highest standards of veterinary care. 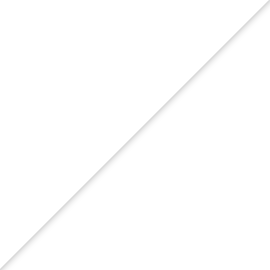 She is married to Dr. Jeff and they have two sons, Lane and Will, two dogs, a guinea pig, and several fish complete their family. 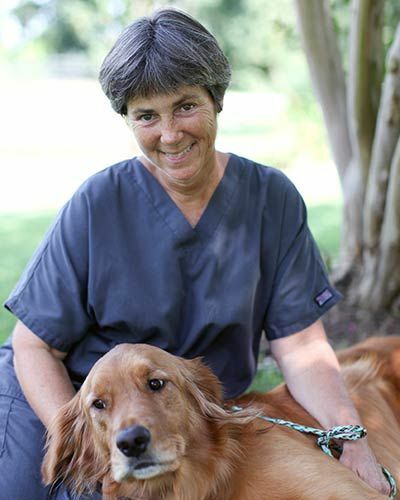 Dr. Laura enjoys volunteering at her church and her children's' schools in her time away from the vet clinic. 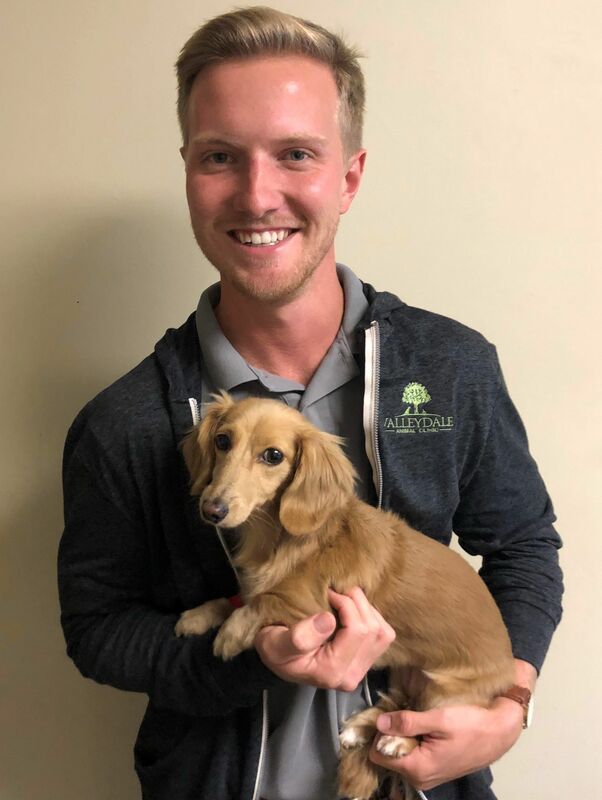 Zach recently joined the Valleydale Animal Clinic team as the Hospital Manager. 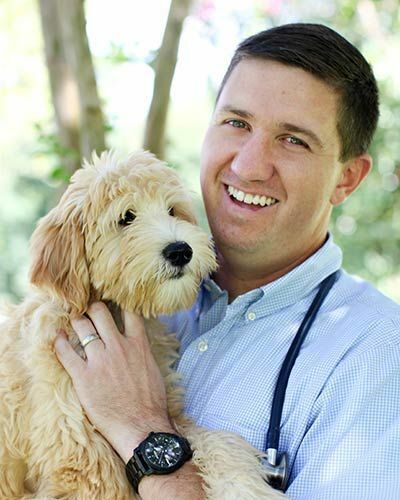 Prior to joining Valleydale, he managed the Pet Resort at Taylor Crossing Animal Hospital in Montgomery and has worked with animals since 2011. Zach is finishing his studies at Auburn University at Montgomery where he will receive a degree in Human Resource Management in December. He is certified by the Human Resource Certification Institute as an Associate Professional in Human Resources (aPHR). In Zach's free time, he enjoys the outdoors and spending time with his family, friends, and pets. Tara started working at with us as a technician in April 2010. 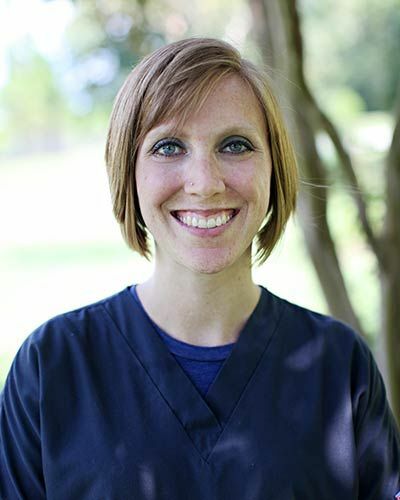 She completed the Veterinary Technology program at Jefferson State Community College in 2008 but has worked in the field since 2004. Tara is our Hill's Certified Pet Nutrition Counselor. She also loves spending time with her husband, Brent, their daughter, Alyna, and their son, Samson. She says all of her dreams have come true since becoming a mother in June 2011 to her two children Samson and Alyna. Tara's pets at home are Frank, a Bull Terrier, Lenard a Persian cat and Bowser and Vera, both Sphinx cats. “Aunt Meg” has been working with us since 2009 and works hard to love on every pet staying with us and make them as comfortable as possible. She is also an expert at making the dogs that come in for their “spa day” beautiful and fluffed as if ready to go to a show. 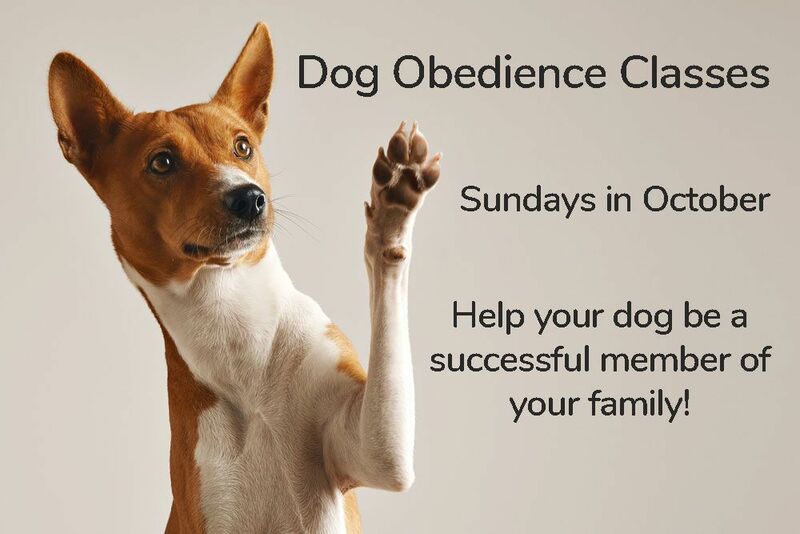 As an American Behavior College Certified Dog Trainer, Meg provides training private lessons and group classes to help your dogs become a successful part of your family. Meg has previously bred Basset Hounds and showed many in competition. In her spare time, she loves cuddling with and providing foster care for dogs in need and donating resources to local shelters and rescues. She also enjoys grooming and vintage cars. Christy joined our Valleydale family in 2018. 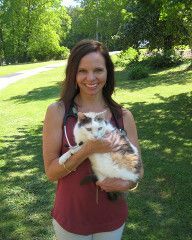 She has worked in the veterinary field since 2005 where she discovered her love of animal rescue and serving as a patient care advocate, which allows her to make a positive difference in the lives of not only our patients but their owners as well. A California native, Christy is always the first to admit that Alabama is the perfect fit for both she and her family. In her free time, she can be found enjoying the trails with her horses, Remington, Gambit, and Finnegan as well as going hiking in the preserve with her dogs, Pierre, Aubree, Gatsby, and Sophie. The most recent additions to the family include their two cats, Killian and Loki. Kayleigh has worked with animals for over 11 years and loves how rewarding the job can be. Nothing brings a smile to her face like a dog or a cat - and she is well known for having a smile on her face! We are so grateful for her compassionate heart and endless love and enthusiasm for all of our boarding guests we see. She has two children - a daughter and a son - and has five dogs and one cat. In her free time, she enjoys spending time with her friends, family, and pets. Haley has been in the animal care field since 2013 and her favorite part about working with animals is the unconditional love the pets give. She loves working at Valleydale because she always gets to learn new things and says that the job is very rewarding. Haley is in nursing school to one day take care of human patients. she also has one Chocolate Lab named, Millie. In her spare time she enjoys mountain biking, hiking, and wakeboarding. 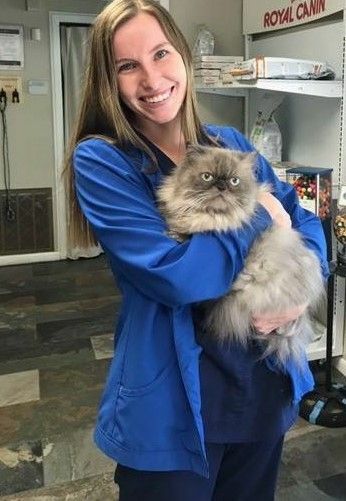 Alexa joined the Valleydale Animal Clinic family in 2019 but has quickly become an integral part of our team! She is an amazing advocate for our patients and is well-loved by clients, patients and coworkers. 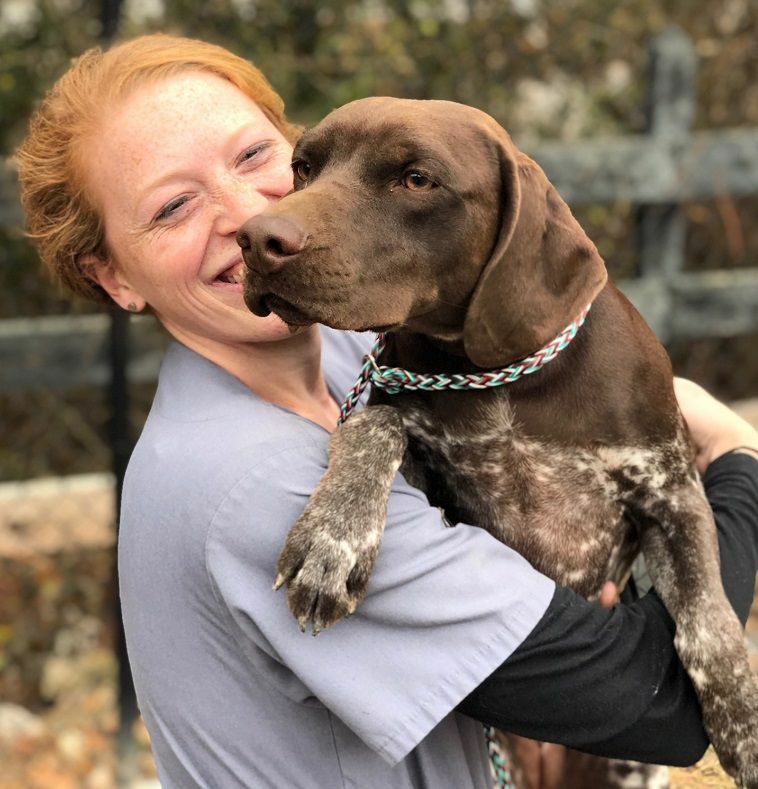 Outside of the vet hospital, Alexa enjoys spending time doing outdoor activities and spending time on the water with her fiancé, Dr. Bryan Murdock, a veterinarian in Birmingham who previously studied at Valleydale. Together they have a Border Collie mix named Miss Mary, a cat named Kida, and two sugar gliders named Jewel and Jasmine. Katy Maske joined the Valleydale Animal Clinic family as our groomer in 2016! 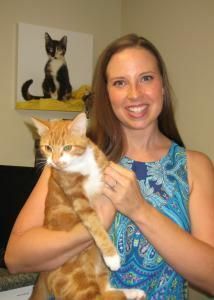 Ashley has been working for Valleydale Animal Clinic since 1999. She started as a receptionist and moved to the Office Manager position which allows her to work from home so she can spend time with her husband, Frank, and 3 children, Finley, Alicia and Foster. Ashley also enjoys getting involved in church activities, hiking, riding, and home improvement. Ashley’s pets include indoor and outdoor cats and three chickens. She completed her Bachelor's Degree at University of Montevallo in May 2010 with a major in History and a minor in Psychology, and is a Front Staff Trainer for Bayer. Deanna has been working in the animal care field since 2017. She decided to work with Valleydale as a Receptionist because of her love for both animals and people. Deanna loves animals so much that she has three cats of her own named Alyssa, Veronica, and Boop. She loves animals because of their unconditional love and their happiness to see you. In her free time, she enjoys comic books, pop culture, Marvel movies, reading, and art.